This weekend in Athens is packed with lots of fun events! Get ready for some awesome concerts, as well as a great chance to see live college sports! Starting on Thursday, May 20, you can come watch the Division I Men&apos;s and Women&apos;s NCAA Tennis Championships. 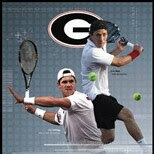 The best collegiate tennis teams and student-athletes from across the country will be in Athens to showcase their talents and compete for national titles. The Dan Magill Tennis Complex has played host to the men&apos;s NCAA Championships 21 times and the women&apos;s NCAA Championships four times, most recently in 2007. Click here for more info! On Friday, May 21, Randall Bramblett will be performing at the Melting Point at 8:30 p.m.! Randall Bramblett&apos;s great new CD The Meantime, marks a departure for the highly acclaimed multi-instrumentalist and songwriter who is best known for his collaborations with artists such as Steve Winwood, Traffic, Levon Helm, Sea Level, Gregg Allman, Bonnie Raitt, Widespread Panic and more. Tickets are $13 advance, or $18 at the door. Click here for more info! On Saturday, world renowned jazz violinist Ken Ford will be performing live at the Morton Theater at 7:30 p.m.! Ken Ford performs a whole lotta jazz and a whole lotta soul and always brings high energy and a spectacular performance to the Morton&apos;s Centennial Celebration. 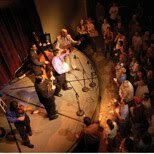 The concert is from 7:30-9:30 p.m., and tickets run between $25, $20, and $15. Click here for more info! There are plenty of other events, too. Check out the Convention &amp; Visitors Bureau&apos;s calendar of events for more ideas!